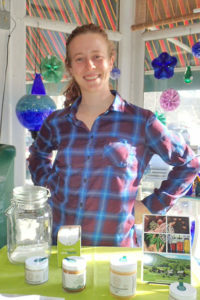 Jen from Luce Farm Wellness doing a demo at the Market in January 2018. CBD products have rapidly appeared since industrial hemp became legal in VT in 2013. Some people find CBD helpful in addressing stress, pain, and immune system issues.